River Bend. A peaceful scenic tourist town in rural Wisconsin. To outsiders it is a little slice of heaven, but to those who live within its borders a darkness lies in wait. Four broken strangers are unwittingly tied to a tragic accident that happened more than fifty years ago. Stavic is the small town deputy investigating a series of grisly murders. Willem is haunted by the disappearance of his abusive father and the death of his youngest brother. Claire is an alcoholic mother who is hiding a terrible secret. And at the center of it all is David, an elderly man who has returned after a twenty year absence. Together they will have to work together to save themselves. 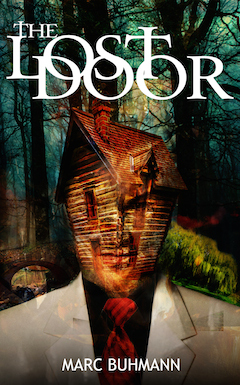 The Lost Door strategically weaves their stories, culminating in a shocking final confrontation.